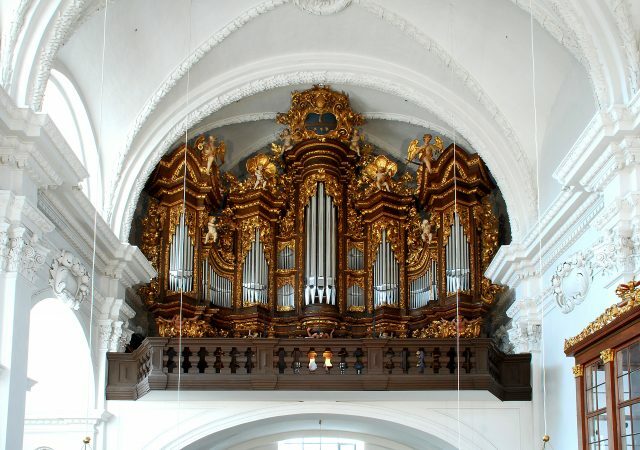 The historic and very precious organ case in Bamberg makes great demands on organ builders. Our main goal was to create a unison of room, facade and sound. We very carefully restored the rich baroque case with its many ornaments. It was originally built by Adam Philipp Schleich in 1710 in the „Main-Fanken-Style“. 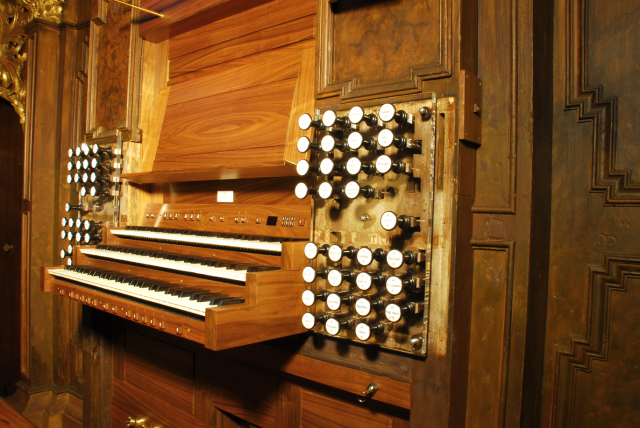 Luckily, the original disposition has survived and its baroque musical character can be found in the Great, „Oberwerk“ and the Pedal division. The development and the demands of later epochs result in the new Swell and some additions in the other divisions. 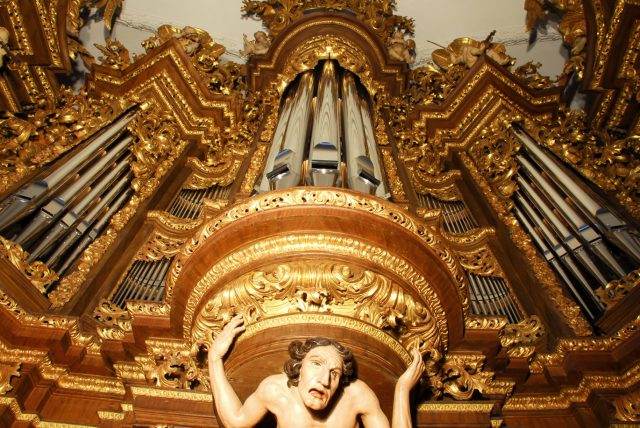 A natural and complete instrument was created which is not to be seen as a copy or a reconstruction of the old baroque organ.